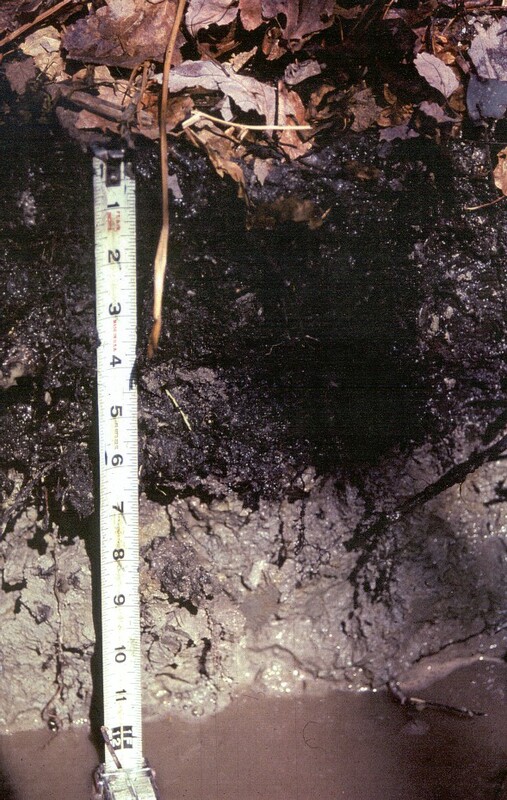 A soil condition resulting from prolonged soil saturation, which is manifested by the presence of bluish or greenish colors through soil mass or in mottles (spots or streaks) among the colors. Gleying occurs under reducing conditions, by which iron is reduced predominantly to the ferrous state. In the photo below, the Gleyed horizon ranges from 7 to 12 inches.